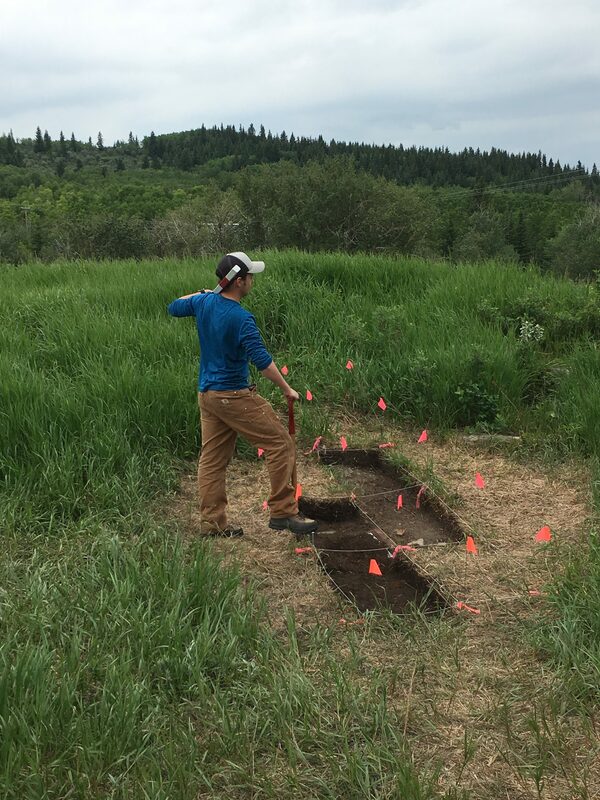 We had another great week of excavations at Glenbow Ranch Provincial Park, searching for the bunkhouse foundation. 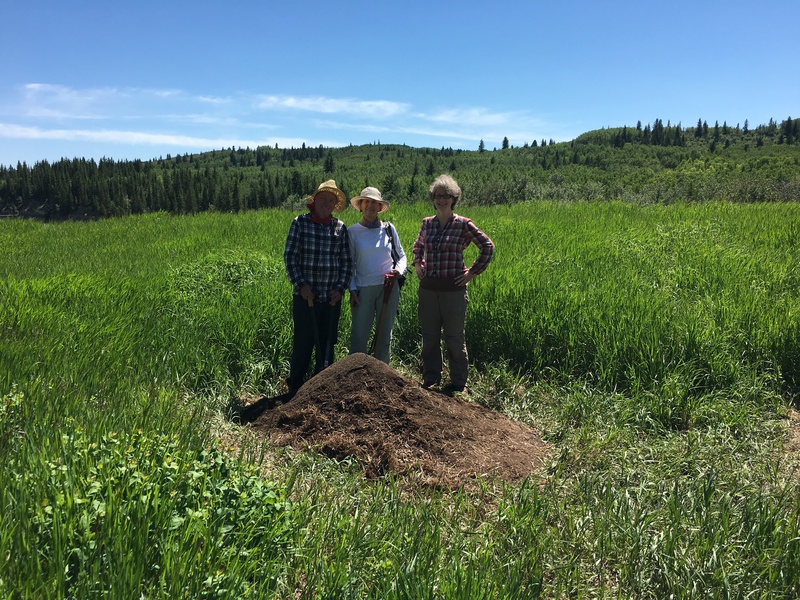 Our southern and northern trenches were a beehive of activity with Monday’s volunteers: Drew Smith, Donna Fallon, and Tracy Teh. On Tuesday, we continued work in our southern trench uncovering a possible fireplace feature with the assistance of Scott Graham. 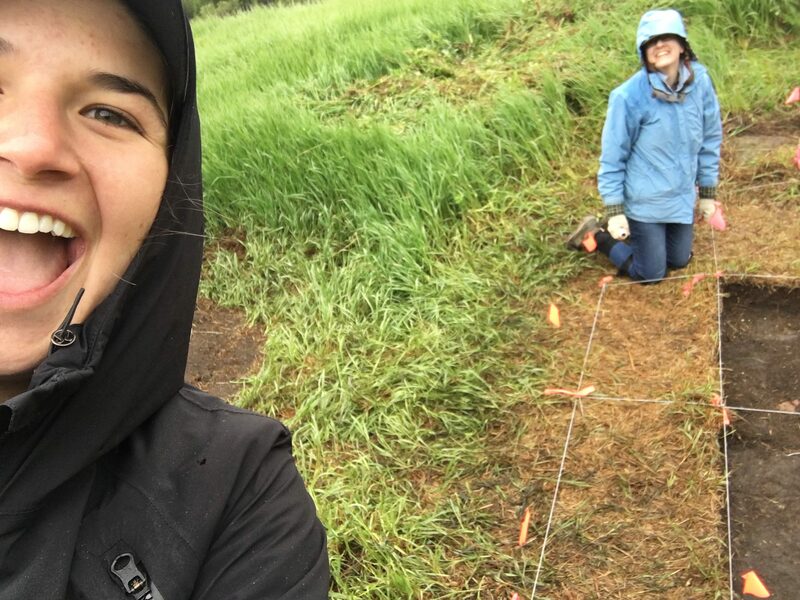 Despite the rain, Shari and I spent Wednesday morning laying out more units and preparing the site for our upcoming week. Thursday we opened up two more units with the help of Scott, Lorraine Stratkotter and Gilles Fournier. Every day is a new adventure at Glenbow, as we unlock the door to the past and piece together the story of the quarry workers’ lives. What will we discover next week? Shari and I will be at Bearspaw Heritage Day on Saturday June 24th if you would like to find out more about the Archaeological Society of Alberta Calgary Centre and our Glenbow Town and Quarry Project. 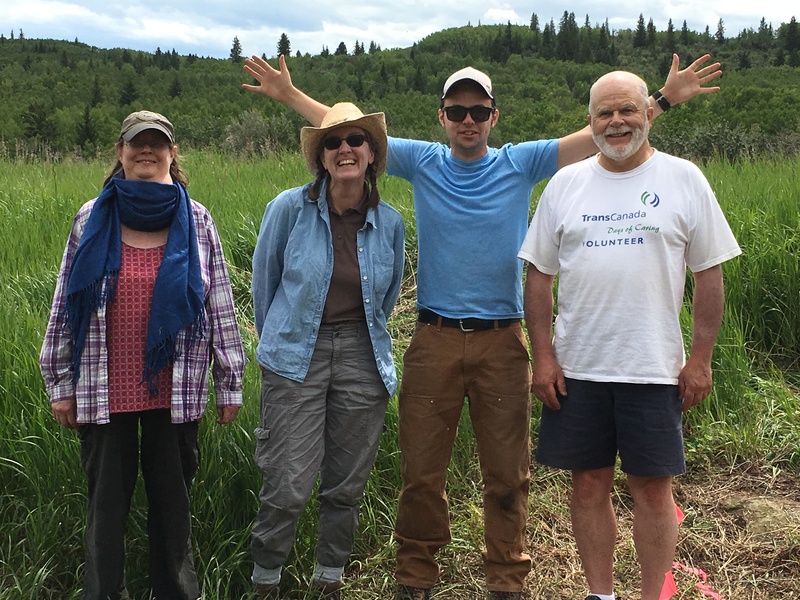 You can also stop by and visit us in Glenbow Ranch Provincial Park, or if you would like to volunteer to excavate please contact info@arkycalgary.com.